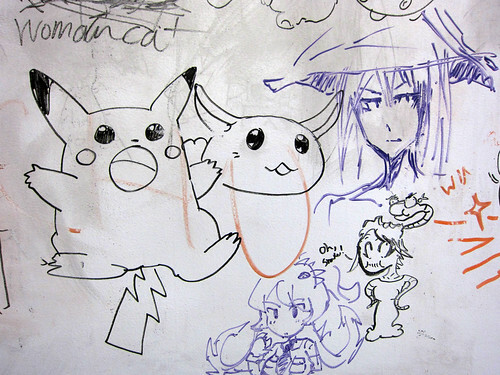 Sometimes Whiteboard Wednesday is awesome. Really awesome. Genre-definingly awesome. …And sometimes we’re a victim of our own success – it’s hard to be amazing every week. We do our best, and we hope it’s good enough for you, but sometimes we might not live up to your high standards. So, really, it’s a good thing that Metacritic doesn’t review these, because a single review could send our average careening into the abyss. Metacritic is serious business – the food would be slapped from our hands and our livelihoods shattered, while our families would be branded as failures for generations to come. Is that a blushing Valentine? You guys just seem to love drawing at least 1 of those girls fat, don’t you? That is quite something! I have never heard of character designers doing that before. 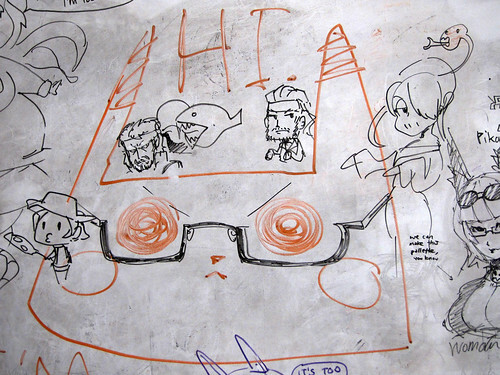 You guys are officially the best American Character designers ever! 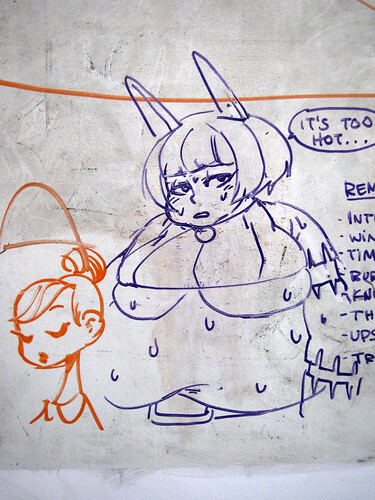 You should do that as a tradition (drawing one girl fat on Whiteboard Wednesday)! Valentine blushing is so cute. 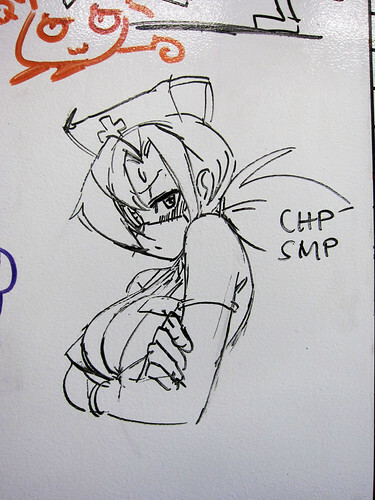 Can I has more tsundere Valentine? let’s see that pallette, hm? No Painwheel! 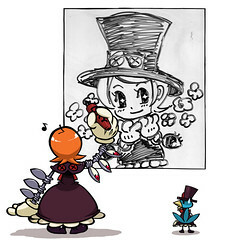 Don’t eat Umbrella, lest Parasoul strike you down with the rage of 1000 Ergets and cut the roster down to 6 at launch!!! Metacritic is scary buisness. I’m not even rated for anything on there, but still the images of “8/10″ flash in my dreams, nigh, nightmares, and I wake up screaming in a cold sweat. 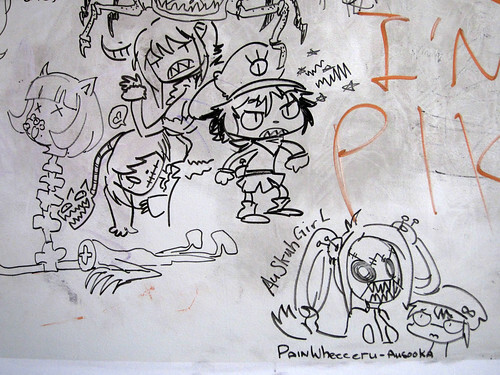 …on a different note, I’ve loved any Valentine art that has shown up on the whiteboard so far. Yesss… yesss. More Squiggly is required. 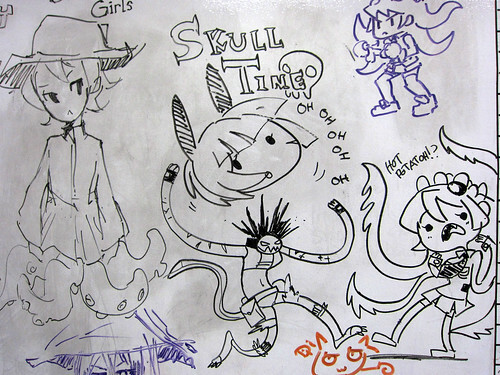 haha Skull Time is too grand and idea! 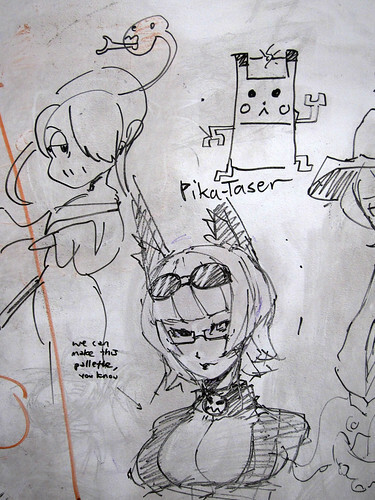 Ms. Fortune with glasses looks really good for some reason. is dat sum Metal Gear I see? I like this. Keep up this meme dudes its freakin awesome and pretty original.